Some Lake District hoteliers fear they could be forced to close if stringent restrictions on migrant labour are imposed after Brexit. That sounds alarmist – but it was a view put forward by at least two respondents to a survey carried out by Cumbria Chamber of Commerce. We asked businesses whether they employed EU migrants, if the migrants were unskilled, semi-skilled or highly-skilled, whether the number of job applications from migrants had declined since the EU referendum and if any migrant staff had left to return home. Finally, we asked what impact restrictions on migrant labour would have. 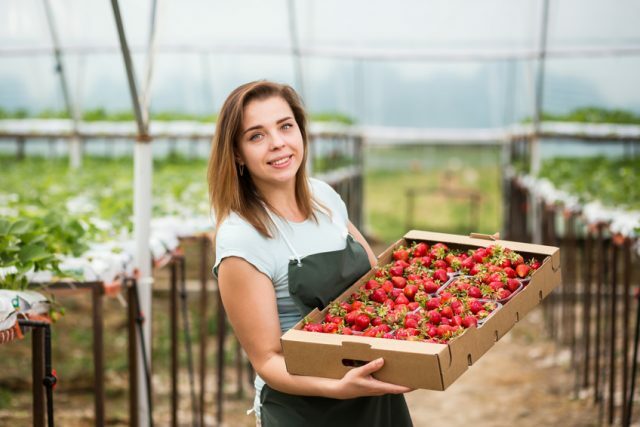 Rob Johnston, Chief Executive of Cumbria Chamber of Commerce, said: “At one end of the spectrum, we had businesses telling us they didn’t employ any migrant workers and that restrictions would have no effect. “At the other, there were businesses concerned they would be unable to function and might close if the supply of migrants dried up. There were businesses concerned they would be unable to function and might close if the supply of migrants dried up. “We estimate there are at least 10,000 EU migrants working in Cumbria, and the bulk of them are in the hospitality and food processing industries. “These two sectors have the most at stake. In the Lake District, we found hotels where 50 per cent of the workforce are migrants. “But it isn’t only businesses that employ migrant workers that expect to be affected by restrictions. “Particularly in Eden and South Lakeland, where there is near full employment, any reduction in the pool of available labour would exacerbate recruitment difficulties for all businesses. We asked: Have you noticed any change in the number of EU workers applying for jobs or leaving current jobs? A communications business told us that “our migrant labour force feels unsettled by the current muddle” while an outdoor education provider said that some staff were “returning to Eastern Europe”. A shopping centre operator that employed five migrant workers reported that two had left to return to Portugal. Likewise, a hotel chain said that “a number of our EU nationals are feeling negative about their future prospects and some have already left”. Several hotels reported a drop in the number of job applications. A large food business said that applications were “down significantly” and its existing migrant employees felt “very unsettled”. Another food business said that job enquiries from migrants had dried up completely since the referendum. We asked: What would be the impact on businesses in your area if access to migrant labour was restricted after Brexit? Several said restrictions would have little or no impact but for others the consequences would be serious, potentially catastrophic. One hotel described it as a “threat to the existence of the business”. We have to make it crystal clear to the Government that EU migrants are hugely essential to the Cumbrian economy and without them businesses will close. Some firms were concerned that, if they have to raise pay to fill vacancies, competitive pressures will prevent them from passing on higher costs. There are businesses that do not employ migrants but still expect to suffer if the labour market tightens. 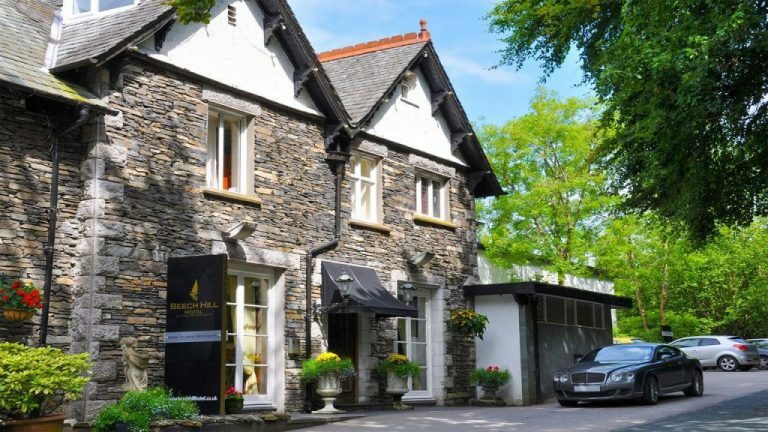 The Beech Hill is a four-star hotel and spa on the eastern shore of Windermere. It employs 52 people, half of them EU migrants. Managing director Fraser Richardson said: “The kitchen is pretty much all migrant workers, as is the housekeeping team, and we also have migrants in public-facing roles. “It’s very difficult for us to recruit locally because of our location, which is why we provide staff accommodation. The Beech Hill says there has been a “noticeable reduction” in the number of job applications from EU migrants since the referendum. 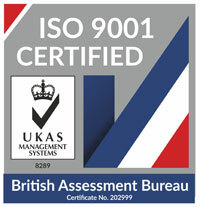 Cumbria Chamber was prompted to carry out the survey following a request from the British Chambers of Commerce (BCC). Our findings have been fed into the BCC’s submission to the Migration Advisory Committee’s call for evidence on the impacts of Brexit. The committee is a public body that advises government on migration issues. Rob said: “Sixteen months after the EU referendum, we are no clearer as to what restrictions on migrant labour will apply after Brexit. Our survey also explodes the myth that migrant workers are low or semi-skilled. “The only clue is in a draft Home Office paper, which was leaked to The Guardian over the summer. “This suggests that Britain will end free movement and outlines a strict immigration policy that includes the principle of an income threshold for EU residents who want to work here. We were concerned by that. He added: “Our survey also explodes the myth that migrant workers are low or semi-skilled. Any reduction in the availability of migrant workers will compound the problem of Cumbria’s ageing workforce. Cumbria Local Enterprise Partnership estimates that the county will require 80,300 additional workers by 2021 to replace those lost through retirement and outmigration, and to fill the new jobs likely to be created by then. Rob added: “It’s significant that the emphasis of government policy has shifted from creating jobs to raising productivity. “That’s the key to dealing with a labour shortage – getting more from fewer people either by investing in technology and new plant and machinery, or training your existing people to be more productive. The Growth Hub is also running the Profiting Through Skills campaign, offering free training to SMEs that want to upskill their workers or recruit apprentices. To take advantage of the free training on offer, or find out more how Cumbria Business Growth Hub can help your business boost productivity, call today on 0844 257 84 50. The funding that supports the Growth Hub comes from a range of sources including Cumbria Chamber of Commerce, the European Regional Development Fund, Allerdale Borough Council (Sellafield Ltd’s Allerdale SIIF, distributed by Allerdale Borough Council), Barrow Borough Council (FEDF Coastal Communities Fund Supply Chain Initiative, the Coastal Communities Fund is funded by the Government with income from the Crown Estates marine assets; it is delivered by the Big Lottery Fund on behalf of UK Government), Carlisle City Council, Eden District Council, South Lakeland District Council and Cumbria LEP. The Growth Hub is receiving up to £2,528,767 of funding from the England European Regional Development Fund as part of the European Structural and Investment Funds Growth Programme 2014-2020. The Department for Communities and Local Government is the Managing Authority for European Regional Development Fund. Established by the European Union, the European Regional Development Fund helps local areas stimulate their economic development by investing in projects which will support innovation, businesses, create jobs and local community regenerations. For more information click here.